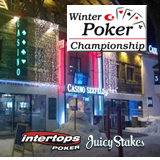 Intertops Poker is sending another online satellite winner to a big poker tournament in Europe next month! Douglas Klein, a Financial Analyst from LA, won an online satellite tournament last weekend where he was awarded a $4000 prize package to travel to Austria and compete in the prestigious Winter Poker Championship (formerly CAPT Seefeld). Douglas is a regular in his local casinos but this will be his first overseas tournament. Tim O’Keefe, who won his way to the Austrian ski resort the same way last year, will be with Douglas. Since his Seefeld experience last winter, Tim has been sponsored by Intertops and has competed in tournaments in St Maarten and Aruba with the Intertops Poker team. 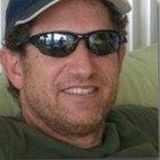 Douglas is Intertops' latest satellite tournament winner travelling to a big live tournament -- but not the last! 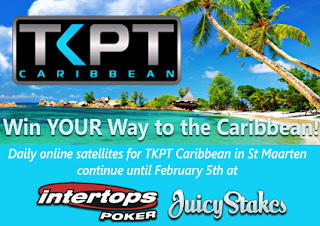 A new online satellite tournament series that will send the winner to the $75K TKPT Caribbean tournament in St Maarten begins next week.